When you are looking for answers you will come across familiar names from Oscar Wild to Pablo Picasso, from Audrey Hepburn to Sun Tzu. 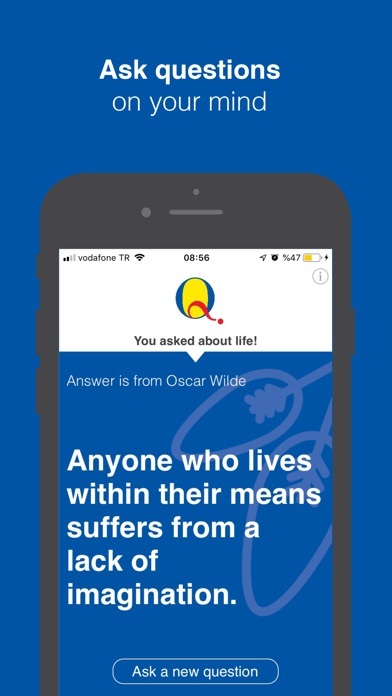 This app wouldn’t answer what you should wear for prom night but it can find answers to questions like what are the important things in life, or how will you find love. 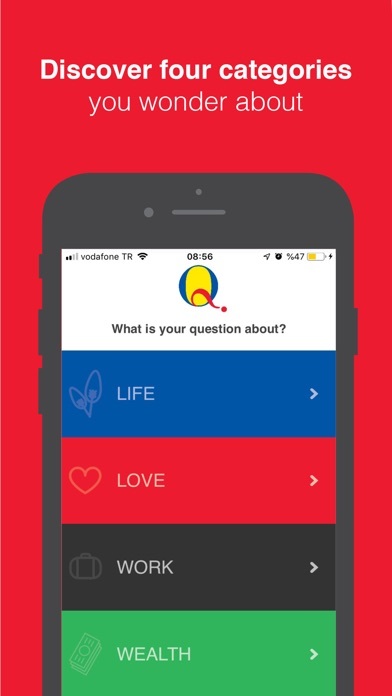 Q&A is a completely free and easy to use app. 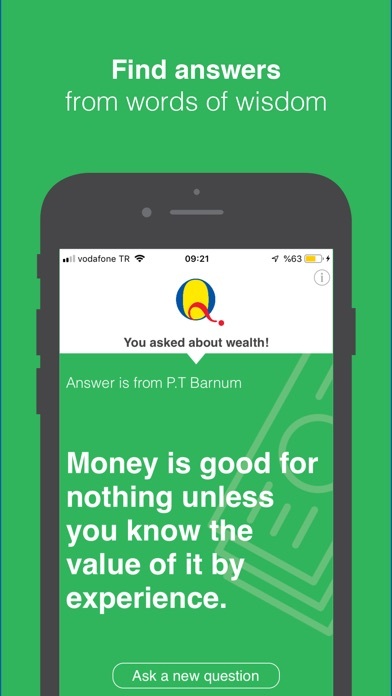 Download now to start finding answers to your questions. We made the app easier for you. 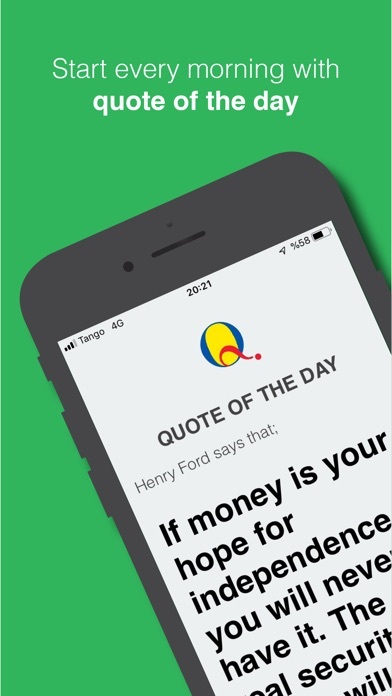 Decreased the font size little to see all the words of the quotes without scrolling. New quotes are added to all categories. Please keep write to us your reviews and requests!